I blogged about my new old clock the other day, and now time for a quick biography that I have put together of its creator! Richard Savage was, by all the records we have, apparently the earliest domestic clockmaker in Shropshire. He was born on the 2nd August 1663 in Much Wenlock to William Savage, a tobacco pipe maker, and his wife Joan. The family was large – his parents had some dozen children between them – and for whatever reason Richard decided that his career should be one of clock-making. Perhaps his decision not to follow a similar path to his father was due to his father falling into debt regularly (a William Savage is constantly apparent in the Shropshire records as being called upon for debt during the interregnum – although there is nothing to say this is the same William Savage as Richard’s father). How he learnt the trade of clockmaking is obscure, no records remain of an apprenticeship, but since no trace remains of any earlier clockmaker in the area it is likely he moved away for some years to learn the trade in the early 1680s. He must have finished this apprenticeship by 1686, when he married Elizabeth Price of Bridgenorth. It possible, though I conjecture this purely through my own happy speculation, that they met while Savage was an apprentice, since Myddleton records in his Chirk Castle Accounts that there was one Rowley living in Bridgenorth at least in 1686, a watchmaker from whom Savage could have learnt his trade. Another possibility for his apprenticeship is one Thomas Millington, a local man who worked in Shrewsbury and is recorded as a ‘Clock Mender’ as early as 1679 – Robert Weaver and John Walker were also apparently knowledgeable men who worked on repairing the town clock during this decade. The earliest established date one of Savage’s clocks (something he rigorously engraved on his work) is 1692, when we know for sure that had returned to Much Wenlock and started up his clockmaking workshop. His early clocks are charming and very traditional, engraved with his name, the year, and commonly the name of the owner who commissioned it or who it was a gift for (several of his clocks appear to have been wedding gifts and are engraved as such). His property in Much Wenlock seems to have been called Bridgcroft, recorded thankfully in a court record where one Elizabeth Knocke stole some plants from his garden; sadly no remnant of the place survives to our present time. It was here that on 15th September 1687 his son William was born, another son, Thomas, was born on 17th August 1690, and one Richard on an unrecorded date – there may have been further children of whom we have sadly no record. The clock trade was clearly a successful one for Savage, and by the close of the 17th century he had moved to the county town of Shrewsbury, where his 13 year old son William was apprenticed to him in 1700. Thomas would follow this trend in 1703 aged 13, and apparently at some point the more obscure third son, Richard. At the start of 1700 Richard may worked on Shrewsbury’s town clock, when record is made in 8th February 1700 of a payment of ‘7s 6d’ for fitting the town ‘engine’. The use of engine keeps the exact device unclear, so may have been related to some other mechanical piece within the town, but there certainly would have been a clock present that would need to be regularly maintained, since we have record of it as early as 1637. It may be that the town engine was not the same as the clock, however, since the Mayor’s accounts from the 1679 contain both the maintenance of the town clock and the town engine as separate articles. Richard’s wife died on 7th March 1722, and after a few years, in 1726 he remarried one Margaret Jones – the commonality of whose name in those parts making her unhappily difficult to further research. This marriage lasted only two years, and this famous clockmaker of Shropshire died in 1728, probably being buried in Shrewsbury. Last weekend I finished my drawings of the different gates of London, and over this week I’ve been shaping the boards, stitching, and then binding the pages – and now for the finished result! This is one of two volumes that I’ve been working on – the second, which isn’t yet finished, will be printed rather than entirely hand drawn as this book is, and will be a written history of the gates to accompany this pictorial one. Have no fear, kind reader, this ridiculous work in its entirety will shortly be rendered happily on this blog. This is the first time that I’ve used buckram in a binding, which is a waxed cloth commonly used in bindings since the mid-19th century. When open the book is well over a meter wide, and its size has made me rethink the option of keeping it on a bookshelf, but I’m definitely pleased I opted for the shape it is over folding the images inside. *It only has some twenty or so pages. It has been far too long since I tapped out with these honest keys some more muddled ramblings to fill some piece of internet better fitted for something else. I have a few excellent projects that I cannot wait to share – a three-month long bookbinding project that is now a month in, some other minor bindings, and a new collection of poetry about kitchenalia inspired by that old microware. For now, though, allow this in-expert history of a little village in the 17th century be an appology for itself; since the lack of any similar history of this place in this time is the only excuse for something so poor to have been written. The English Civil Wars are a well-rehearsed tale of families at each other’s throats over whether they should have a king or a government, brought on by an infamous decade-long self-rule and a people divided over social and religious change. The trouble and danger of these times affected politics for many, many decades following and was a penultimate nail in the coffin of Catholic England before the final detruction of the Stuart line in 1688. The wars themselves were a chaotic affair at best, with many thousands killed, entire populations displaced, and lands and churches ransacked. We are all familiar with the tales of those times; from noblemen battling at Edgehill, to the murder of a misjudged king. But how did such times affect a tiny village in a very much Parliamentary county? Throughout the notorious self-rule of King Charles I the manor of Danbury belonged to the celebrated Mildmay family, a famous breed of men descended from Sir Walter Mildmay, Chancellor of the Exchequer of England. He built a new manor called Danbury Place in about 1560 and, through his second son, Humphrey, it passed to its owner at the time of the Civil war; his grandson, Sir Humphrey Mildmay. The family had always had close ties to the royal family, firstly the Tudors through Walter’s role as a chief financier to many courtiers and Treasurer to the Queen’s Household, and secondly to the Stuarts, for whom one of Walter’s other sons was Master of the Jewel Office. By the start of Charles’ reign there were already at least nine branches of the Mildmay family in Essex, each with their own minor estates. They had plenty of ties among many other notable local families, and a range of ambitions to suite their standing among the modest Essex nobility. Many had held the position of Sheriff of Essex, including Sir Humphrey of Danbury Place, allowing – in what was then a much more practical role – them to see the state of affairs that high taxes and poor harvests were bringing to the populace of the county. The village itself was small, but well known to be one of the more prosperous places around, with several minor manors existing aside from Danbury Place. These included the ancient houses of St Clere’s, also held by the Mildmays; Frettons; Gibcrack, held by William Maynard; Peppers (now the Griffin Pub), and a number of other significant farms and houses. William Maynard almost certainly would not have lived at Gibcrack, being the second Lord Maynard and with a family seat elsewhere in the county, he more than likely rented the house out to tenant farmers. However, being a Laudian (a supporter of William Laud, Charles I’s much-loved archbishop of Cante whorbury terrified the country that he might bring about a much more Catholic-feeling Church of England), it is very likely that he found tenants for the manor who supported his very royalist feelings. Danbury Church would have been the center of village life at the time, the one place where both gentry and village folk would mix regularly, and a landmark visible for miles around. The building at the time that civil war approached was a grand structure, it had last been rebuilt significantly in the early 1400s following its near-destruction in a great storm. How much of its Catholic decoration had escaped the reformation is unclear, but certainly it was still a very medieval at the centre of a quickly modernizing village. The rector of the church was a man called Clement Vincent, under who operated two church wardens called Robert Audley and Alexander Thisillthaught. Clement became rector in 1628, chosen by the Mildmays, and was given a license to preach in 1636. He was a fellow Laudian, who was encouraged by the royalist Mildmays, and often spent time at their family house at Danbury Place as well as their London home. This made Danbury a particularly Royalist village, with the landed gentry supporting enjoying the Royalist sermons being delivered by their chosen churchmen. Similar feelings were to be found at the church in Sandon, where Brian Walton preached a Laudian message to a less-impressed congregation. Trouble from villagers there is reported as early as November 1636, when three people there refused to bow at the mention of Jesus’ name in church services. Even before the beginnings of the Civil Wars, then, there is evidence of villagers in the area being disaffected to the nature of the church and the times. This was the start of the tensions that in January 1642 caused King Charles to flee London, and were the eruption of the first English Civil War. The Civil War, as we now call it, occurred in three parts that should be considered three separate wars, rather than one tumultuous muddle. The first was began after King Charles attempted to eject several members of parliament and, by interfering with an age-old establishment, shattered the tensions of different views on both church and state, and began the series of events that would end in his own death seven years later. Essex was an easy target for the parliamentarians; with the king north in Oxford, the only rallying point for those with royalist beliefs were the few stubborn members of the gentry who refused to submit to parliament. These were in turn put down one by one, and either fled to be with their king, or over the channel to Europe. When the war was declared in January 1642, Sir Humhprey with his family at Danbury immediately declared their support for the king. His cousin, Henry, of Graces in Little Baddow declared for Parliament and became a captain of horse and later commissioner for several of the Parliament’s ordinances. Humphrey’s brother, another Henry Mildmay declared for the king, as did his other brother Anthony, who had already served the King loyally as Master of the Jewel Office. This immediate split in the Mildmay family was surely echoed across the numerous branches of brothers, cousins, fathers, and sons, who each chose their side and in turn irreparably broke ties with many around them. There is no evidence that the Mildmay’s house at Danbury was at all fortified, and perhaps the family there saw no direct risk to their estate in those early days of the war. Sir Humphrey of Danbury place found himself quickly under orders acting in the name of the king; he surveyed the village along with other nearby places and evaluated them for taxes. These taxes would pay for raising troops across the country, and this seems to be the first action that any citizen of Danbury took in those early days at war. For a short while, perhaps to protect his estate being threatened by the very much Parliamentarian Essex, or perhaps after pressure from his brothers, he seems to have changed sides and come to support Parliament. Sir Humphrey appears as a leader of a militia serving Parliament in 1642, at about the same time that his brother Henry also defected against the King. Clearly, though, the war didn’t trouble the Mildmays of Danbury too much (who do appear notably disinterested in politics throughout the 17th century), for by August 1643 Sir Humphrey Mildmay was happily visiting London and seeing plays there. His close ties to his mixture of Parliamentarian and Royalist brothers probably made him unwilling to take part in any real campaigns, and so it seems like at least the noblemen of Danbury spent the first few years of the war peacefully ignoring the state of England, and doing what they could to keep out of trouble’s way. As for the clergy, Clement Vincent, the rector of the church for nearly twenty years, was facing increased hostility from his congregation. Nearby at Sandon and Little Baddow there had already been trouble, with the altar rails at Sandon church – a piece of church furniture seen as very un-protestant – having already been ripped out by villagers and burnt on the church green outside. As early as 1636 the vicar was already unpopular, he was brought before a court for being a drunkard and was possibly only saved by the fact that half of his drunk nights seem to have been spent drinking with his friend Sir Humphrey Mildmay. In October 1641 Clement was brought before the courts again for wearing a surplice and hood during a service, although this also was rejected as a sound reason to get rid of a clergyman so popular with the lord of the manor. His church wardens, Robert and Alexander, were also brought before the court for not destroying the altar rails, it supposedly being “a great grievance to the people”. The had already been disorder recorded in Clement’s services, as the people became less and less receptive of his Laudian views. It is possible, though, that there were some in Danbury who saw benefits from the growth of Parliament’s power and the fall or flight of more and more Royalist supporters. By January 1644 more and more lands were being sequestered by Parliament and being given to their supporters. Sir Henry Clarke may well have been the Parliamentary nobleman appointed to oversee the re-appropriation of lands in Danbury, and one local farmer called Thomas Bugby found himself fortunate as he was granted “parliament lands”. By 1644 Parliament was clearly getting the upper hand, by now Humphrey had again become a supporter of the king and was again on the opposite side to his neighbours and much of his family. It is at this point that things took a much more drastic turn for this village nobleman; he was fined £1846 by Parliament and his lands confiscated. For the first time in three generations, no Mildmay would sit in Danbury Place and instead the family found themselves cast out, to fend for themselves among many other Royalist nobleman-refugees. With the Mildmays no longer present at Danbury Place, Clement Vincent found himself without his powerful back and friend. He was cast out of his home in Spring 1644, at around the same time as the man whose ideas he so supported – Archbishop William Laud – was brought to trial in London. Henry Mildmay, a cousin of Humphrey who had defected from the King and joined parliament back in 1642, was in quite the opposite stead to his Royalist counterparts. He had by now had a long established commission of a regiment of footmen, and was commanding the garrison at Cambridge Castle. It is very possible that, at this sudden loss of both the gentry and the clergy of Danbury, any other locals who were equally loyal to the King and the Royalist cause left or were forced out with them. Sir Humphrey here seems to disappear for some time, it is very possible that him and his family went into hiding in Oxford, the Royalist stronghold. His son John appears at the Second Battle of Newbury on the 27th of October 1644 along with Sir Humphrey’s brother John and a cousin of the same name – which led to much mistake being made over the resultant casualties of the battle. It is almost doubtless that there would have been other Mildmays there, and who knows who else – perhaps even other Royalist villagers of Danbury – joined the fight under their banner. It was about 3 o’clock in the afternoon when the Royalists came under a surprise attack from the Parliamentarians not far from Shaw House near Newbury. Royalist cannon fired out upon the men of Parliament, among who rode a young Oliver Cromwell, the first attack was fought off and musketeers under a fellow Royalist lined up in the hedgerows overlooking the battlefield. The cavalry on both sides clashed and there were heavy casualties, and somewhere among this fray there fought that group of eager Mildmays so far from home. About 150 meters from Shaw House – near the road called Well Meadow that stands there now – the Mildmays found themselves at the forefront of the fight. (To have been so close to the house and still fighting, it is more than likely that this was after it had become dark, when several Parliamentarians attempted to storm the building.) It was this fight that would take the life of John Mildmay, Humphrey’s brother, and severely wound his cousin. It has been believed since at least the early 1700s that it was his son who was killed, but he in fact survived and would be one of the lucky few to one day return to Danbury. Whether this affected the Mildmay’s feeling towards the Royalist cause is unclear, but they are not recorded as fighting at any other battle afterwards. What they do for the remainder of the war is unclear, but it is possible they took a quieter refuge in Oxford with other Royalists forced from their home. Back in Danbury, the village must have been a changed place, with no nobleman overlooking the scene from his manor house, and the clergy thrown out of their own church. A new preacher, a man of more Parliamentary ideals, was put in place – John Chandler, who remained at the church for a little over a year before being replaced by Richard Man on June the 13th 1646. Things certainly weren’t peaceful in the village, one man – a gentleman called Thomas Glascock living at Runsell Green – had his house broken into and his possessions stolen by one Ann Kempson. It’s impossible to tell if this was due to a difference in opinion over the war, perhaps an opportunistic robbery in the chaos of the times, or just a maid stealing a few spoons from her master. A year later it was necessary for the disused stocks at Runsell Green to be repaired, so presumably, whatever the state of the village, there was at least some need to punish locals. The first English Civil War ended in 1646 with a two year gap before the country found itself back at war. In that time Sir Humphrey’s wife went before Parliament to plead for them to be absolved of their crimes and for their lands to be returned to them. On the 18th March 1647 the Mildmays of Danbury had their estates returned to them, after an ordinance of Parliament was agreed to – having “paid the Sum of Five hundred Pounds, to supply the Holy Island; and hath since, at several times, paid the Sum of Seven hundred Seventy-five Pounds more, other Part of the said Fine”. Perhaps Humphrey had some minor roles within the war again when the second Civil War broke out in the summer of 1648 – he seems to have once more had his estates confiscated, regaining them a few months later on the 24th of October 1648 when he was again absolved by Parliament. Within a few months the King was dead, and much of the Royalist fire present in the country died with him. The second Civil war closed with little record of Danbury, its villagers, or its noblemen being made. The church had most likely by now already been attacked by Puritan fanatics as many local churches seem to have been, the altar rails would certainly have been ripped out, imagery in windows broken, and perhaps some brass or decorated tombs broken up – it is surprising that the wooden knights still present in the church survived. Similar wooden knights at Little Horkesley may have been partly mutilated in this period. King Charles I was executed on January the 30th 1649, Anthony Mildmay – Sir Humphrey’s brother – looked after the king at times during his imprisonment, and later was a part of the group who brought his body to Windsor. He later accompanied two of the king’s children to Carisbrooke where they in turn were imprisoned. The third civil war, 1649 to 1651, was an affair largely confined to Scotland and the north of England, and it seems that the folk of Danbury were unconcerned with these distant matters. Although at many times the English Civil war was a war of the people, the distance of it at this point and the now-broken spirit of self-preserving royalists seems to have left the folk of Danbury far out of any intrigue here. The last of the civil wars closed in 1651 with Parliament very much the victors, but for many in Essex it would have felt as if they had been under Parliamentary rule for a long time already. It would still have been a final nail in the coffin for any lingering Royalist hopes kept secret by those still bitter over the murder of their king two years earlier. Certainly the Royalist Mildmays felt the effects of a Parliament that was tired of the old champions to the King’s cause, and had fines levied on them annually. This did not deplete their coffers so much, and Sir Humphrey’s son, John, was married in the summer of 1652. Humphrey’s cousins who had supported Parliament, though, found new riches in their fortunate victory; Henry Mildmay of Little Baddow became an MP, while another cousin, Carew Mildmay, also became an MP and had the duties of recovering money and belongings of the exiled royals – including removing the king’s clocks from Whitehall Palace. Clement Vincent, the old rector and friend to the Mildmays, died in apparent penury in 1652. He has no marked grave, but likely lies near the church that he had been forced from less than a decade before. Village life itself seems to have gone quietly in these years; villagers occasionally argued over land, one man was prosecuted for stealing a deer from Sir Humphrey’s park. By 1655 it is possible that the costs of living in a country ruled by his political enemies was starting to affect Sir Humphrey; lands that had been in his family for a century were sold off in a large quantity to a John Glasbrooke. Then, for some reason, from 1657 a feud seems to appear between Thomas Glascock of Runsell Green and the Audley family of Woodham Ferrers. Whatever the reason, for the next year or more the two parties continues insulting and attacking each other, their words well recorded in court records. Another group seem to have fallen out at a similar time, with Abraham Francis and Henry Towers breaking into each-others houses and refusing to leave. These all, though, do not seem to be politically motivated, and are more likely family feuds of other reasons. By the time 1660 came along and the royal family were restored to Britain, with Charles II sat on his father’s throne, Danbury had returned reasonably to its pre-war self – a quiet community of farmers and gentlemen. Except perhaps for the nobility, whose money problems would never fully recover, and would see the Mildmays enter debtors prison before the end of that new decade, forcing far more land to be sold to pay their way out. This kindly sums up the history of a little Essex village in a war torn country, and a few minor events of that difficult time. As last the final few eves before Christmas approach, the dark hours around a warm fire should rightly be filled with good tall tales. Allow me, then, to indulge myself by recanting and explaining the curious legend of the day the devil visited Danbury church and carried half it of back to hell with him. The church was still a grand medieval Catholic building, decorated with the rich reds and golds of grand frescoes depicting the faces of martyred saints, the peace of God’s heaven, and the savage depths of infernal hell. All these muddles of faces and scenes would glint in the candlelight and flicker in and out of focus amid smoke and incense. It was in such a space that during one Catholic mass in 1402 that William Goodfather was stood in his pulpit trying to give a sermon to the congregation of Danbury. Among them sat men like Richard Grey, a teenage nobleman, and Sir Gerard Braybrooke, a newcomer to the village. Much of this one of William’s fine sermons, however, was lost to the listeners owing to a great storm clattering across the sky outside. The long Latin sermon would usually be lost on the local farmers anyway, spending their time instead gazing at the ferocious painted faces and scenes around the walls, but that day the images were picked out particularly as each spark of lighting and rumble of thunder drowned out the tiresome words of God’s sermon with the terrible roar of God’s heaven. In one moment, Henry de Blaneford hurriedly records in his chronicle, there was a terrible cry of thunder, unlike anything the villagers had ever heard before. The candles were in one breath extinguished and with a great flicker of mad lightning the figure of a spectral monk appeared before the congregation. William’s sermon had been interrupted by this horrible vision, but in the same instant this ‘appearance of the Devil’ was gone. Then came, to the true horror of the people, the sound of cracking stone and the whimpering of wood under too much strain. The grand spire of the church, which had stood decked in glimmering glazed tiles pointing high up to the kingdom of God, began to shift on the top of the church tower. It splintered, falling with a mighty crash that upset the rest of the roof beams. One by one, the carvings and paintings in the ceiling high above the nave sprung to life, as the entire structure gave way and fell inwards. By now the congregation had fallen into chaos, the terrible monk lit up by the lightening had frightened off half, and now the stout remainder were fighting their way out at the doors. In minutes the crashing of stone and tile, splintering of wood, and smashing of windows had seen the church turned half to rubble. We know at least that William the parson survived, as did Richard Grey and Sir Gerald, two noblemen caught up in a country church on the wrong day, but how many did not survive isn’t recorded. Still, the story was told first between farmers, then between villages, and finally reaching all the edges of East Anglia, of the day that the devil’s phantom monk came to church. A small fortune was spent rebuilding the church, and barely a stone remains in the nave that likely saw that day in 1402. It is, however, one of the oldest recorded ghost stories that I know that isn’t some fantastic myth or famous tale. It is simply a ghost story surrounding an event that almost destroyed the centre of a simple rural community over 600 years ago. Verbose by no means equates to good, enjoyable, or interesting. I wrote this close to 1am as an exercise in prose, and if it needed an apology then I wouldn’t post it, so I shall make none. Written shortly before a dose. What is the point in programming? It often strikes me just how temporary a thing programming is, an art form that is gone and forgotten far easier than any other creation I can really think of. It is also such a fast paced thing, a piece of code you write in the morning could be out of date by the end of the day, and that’s if you’re lucky. Imagine an artist at his easel with his paints dulled before he could finish his canvas, or a rhetorician unable to finish his speech, for the practice and customs of his language had changed since he began. That is the excellent thing about programming, but worse – far worse – for the artist at least has a dulled painting that shall stand the testament of his day spent working upon it. And a man gifted in rhetoric shall have his words remembered and one day enjoyed again. What, then, is the testament of programming? Has a programmer created something that will stand the test of time? Surely not, the great world of excellent work will quickly turn over and bring up better things and forget what was there before. There is no store cupboard filled with dusty lines of code, no collectors nor museums for bits and bytes. There are no ruins, no ashes, no shards to reflect upon. A great architect may be remembered by the tumbled stones of a mighty abbey, some sculptor recalled in the shattered ashes of ancient Pompeii. The trophies of thousands of lost hours that could be recalled, if one could but reminisce over the delete button. But then, what is programming? Do we program to create beautiful lines of code to be adored and remembered? Surely not. Programming is the expression of an idea, the creation of a solution. Programming is one of those excellent practices that can help many, that can freely be shared with any, something that is bound only by the hardware it resides in; in a world where hardware is as common as software, or where they may become one and the same thing, information could be entirely free. Programming, then, may not be a long standing art form, nor one that anyone is likely to care for beyond its useful lifetime, but it is a step to freedom where in the past the cost of materials have blocked access for so many. Hardware may not be free, but programming, the truly important heart behind a million new innovations every day, is free, and by this freedom anyone can create an idea and build one more better thing in the ever turning world, and hopefully make it turn that little more kindly. That, surely, is reason to program, even if the particular lines of code spent muddling over for hours, the brush strokes of software, are themselves in moments forgotten. Whether I’ve managed to finish the Amazon publishing guide post or not before this one gets published, I can’t say – that depends how the week goes! For now, dear reader, allow me to focus on the purpose of this honest post. As another part in the rather interesting 150 word story challenge that has quite taken hold of my imagination, I would like to present this simple tale, and pray it might please the reader. This time, it’s the turn of something borrowed and something for sale. Cassy had really got into the swing of her story now, her arms had started going – darting here and there with an odd connection to her excited words. It wasn’t convincing though, there were certainly frowns on the faces of those listening. Listening so intently. She’d rehearsed her story a few times already – never been that great at public speaking – always got a bit flustered. At least she’d got the information she wanted out, how they’d ‘borrowed’ her parents’ car and gone down the coast. Quite fun at the time, really, they were ‘dealers’, they were important. If that cop hadn’t gone to search the car they’d be on the beach now. She hadn’t meant to do it, didn’t even realise the gun was loaded. Just for protection, she never meant to hurt anyone with it. The courtroom was silent. They couldn’t really execute her for an accident, could they? In other news I’m presently putting together a couple of simple eBooks – they’re really just for personal use, but they’ve got some nice typography so maybe someone else will enjoy them. One’s a rather dull selection of my poetry written while studying my degree, and the other is a copy of A Shropshire Lad with a selection of my very favourite poems by various authors at the end. They’ll be up here as free downloads some time soon. Until next time, kind reader. Allow me first a moment to celebrate 100 whole posts on this humble space of internet. What it did to deserve my increasingly select ramblings, I seem to recall owes itself to a particular university assessment, and what I learnt from it is really quite beyond me. I considered for half a moment that I should post some horribly self absorbed consideration of why I blog, or some summary of these ponderous moments that have led to me mashing away at these chime-less keys. But what is the use in a post like that? For surely, kind reader, every post should add to a blog, as every step up a mountain should be towards a higher point. For what if we were to look down and consider the time that has been spent upon the journey, and despair at the pointless nature of it? Please, then, allow me to humbly present a small piece of writing for an excellent challenge brought to my attention, where 150 words alone must make a tale. The room was cold, an abandoned house of cards sat over by the closed window. Even the view was bland, not many people fighting for a place with ‘fine views over the Aylesbury Estate’. But Jack and Jane had bought it; a new place. A new start. Jack seemed to think things still weren’t good between them, he couldn’t quite remember how it all began, but things hadn’t been normal for a long time. Perhaps this new place would help. “Ah, tea, dear?” Said Jack, Jane had just entered carrying a mug of his favourite milky breakfast blend with three sugars. She gave half a smile, but her eyes struggled to look at him. Having re-read the blog post, I realise that I may have missed the deadline for the challenge. Until next time, kind reader! Since I am currently considering researching a short history of Aberystwyth’s long lost ancient townhouse of the Pryse family, their home before Castle House, I thought in the mean time a small history of Aberystwyth Castle itself might be interesting. The castle at Aberystwyth is the fourth to be built within the vicinity of the town. The first was by Gilbert Fitz Richard, a Norman nobleman, in 1109 near where the river Ystwyth then opened out into the sea, it was extensive enough to have motte and bailey earthworks put up and a chapel built within the walls. (This was, arguably, the first ‘Aberystwyth’ church.) This first castle was besieged and soon after burnt down by Cadwalader, Gruffudd ap Rhys, and Owen Gwynedd in 1135. Cadwalader built the second castle, possibly on the same site, soon after. However, after problems between Cadwalader and his fellow Welshman, Owen Gwynedd, Gwynedd returned to Aberystwyth and destroyed the second castle as well. A third castle was built by Gilbert Fitz Richard’s grandson, Roger Fitz Richard, in 1158 at an unknown site, but survived less than a decade and was destroyed by Welsh forces c1165. There are some suggestions that a fortified position continued after the castle’s destruction, but with little evidence, and it is likely that there was no proper fortified construction again in Aberystwyth until the current castle was begun 112 years later. In 1277, while Edward I was busy conquering Wales, his brother, Edmund of Lancaster, was sent to Ceredigion to quell any chance of an uprising and construct a new castle to stand against any problems in the future. It was Edmund who must have visited Llanbadarn some time that year and decided to build his castle nearby, choosing a secure site on the cliffs with an ability to both keep the coast defended from raiders, and to be replenished by ships in times of siege. The actual command of the construction came to a man called James of Saint George, who had already designed and overseen the construction of two other castles built for Edward I. In 1282 construction was briefly halted by a Welsh attack on the castle, who attempted to hold it for themselves until they were quickly routed by English forces. Some suppose that James only commanded the construction of the castle after this attack, but it is probable that he was in control of the project for the entire building process, since he was such an important castle builder in the area. The present structure was finally completed in 1289, and quickly proved its strength after holding out through a siege in the winter between 1294 and 1295. Shortly afterwards Edward I granted permission for the small settlement outside of the castle to be walled around to protect it from Welsh attacks, at that time it was called ‘Ville de Llanpadarn’, but this was the very first seeds of Aberystwyth as we know it today. Originally there was a chapel in the castle, probably on the first floor of the great tower by the great hall, but a small medieval church was built next to the castle probably at the very end of the 1200s. We get some idea of what the castle contained from the numerous repairs that the castle constantly needed due to its close proximity to the sea. In 1342, when it belonged to the Black Prince, it is recorded as having a Long Chamber, King’s Hall, Old Hall, a kitchen, bakehouse, stable, and two granaries. It had two draw bridges; one from the great gate to the town and one over to the small partial-island that the war memorial now stands on. Also, interestingly, it mentions a ‘third bailey’ that had, even at that time, almost been completely destroyed by the sea, this could suggest that once in the area where the war memorial stands there was a castled enclosure, now entirely lost. In 1450 there is recorded a Knights’ Hall, a Somerhall, and a chapel. While in 1466 a new bridge was built somewhere within the castle complex. The stable and bakehouse are recorded as under one roof against the wall on the west side of the castle, and adjacent to this was a guard’s chamber with the King’s Hall above. The great hall itself, to the south of the Great Towers, was at some point divided in half and then had an oven added at the south end by the garde-robe chute. I did at one point have a very useful source that explained the location of the chapel, but I have sadly misplaced its name so until then that’s the best description I can offer. It was besieged in 1404 by Owain Glyndŵr, who was building a power base at Machynlleth where he had that same year crowned himself Prince of Wales. His dream of an independent Welsh state did not succeed, however, and in 1408 Aberystwyth was recaptured by Henry IV. The castle quickly lost its importance once Wales was pacified and its extraordinary repair costs due to the sea no longer seemed worth paying for. Only the most necessary repairs were made to the castle as it became a simple centre of administration for the small town around it. As a centre of mining, Aberystwyth remained a great source of revenue for the crown, and a surprisingly vast fortune in coins minted every year in London from silver mined in the Welsh hills of Ceredigion. This was the case when Thomas Bushell took over the lease for mining rights in 1637 and, after getting the attention of Charles I, on the 9th of July that year he was granted the right to erect a mint at the castle. There is a doorway on the southern wall of the Great Gate-corridor, between the two Great Towers, that dates from about that time and very possibly had something to do with the construction of the mint. It didn’t take long for Bushell to set up a small mint possibly in the small complex of rooms on the north-west corner of the Great Towers, with storage supposedly above. (I must admit, I recall this from memory from a text I read about a year ago now and cannot guarantee I remember it correctly.) It is possible that the ‘King’s Hall’ was converted for use as part of the mint. 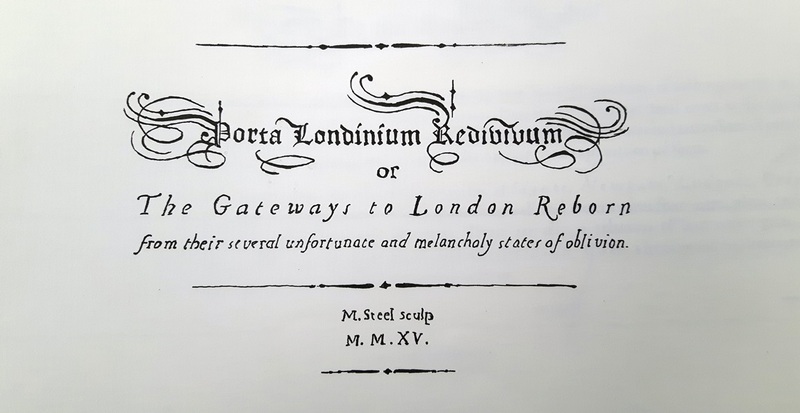 This ran ran until until September 1642, when the outbreak of civil war even stalled the silversmiths of Aberystwyth. In that time, just about five years, the mint had created £13,069 out of 4,052 lbs of silver. Some silver mined later during the civil war was taken instead to Bristol, since in 1645 Bushell was present in that city when the king requested he minted coins for the payment of the army. In November 1645 the castle, at that time under command of Roger Whitley, was besieged by Parliamentarian forces who were probably being lead by John Vaughan. Sadly and unlike many other parliamentary attacks on castles, few records remain of the siege from either side of the battle. However, the mint was briefly re-opened in January 1646, when it ran until March before again being stopped as the siege became more intense. By April the castle had been captured; there is a heroic idea that John Vaughan himself triumphantly marched his men into the courtyard and oversaw the expulsion of the Royalists, but he may by this time have had second thoughts about his loyalties, and have in fact returned to his own estates and allowed another unknown commander to enter the castle in his stead. Some mysterious cavaliers entered the castle and attempted to mint coins in February 1649, when £8 alone was minted, before the minting tools were quickly smuggled out of the castle. Shortly before the 23rd of February 1649 the tools for minting were hurriedly removed from the castle and returned to Royalists outside of Aberystwyth, before they could be found by Cromwell. Perhaps it was discovered by Parliament that this had occurred, since not long after this the castle was entirely demolished by Cromwell’s order. The catastrophic destruction of the castle compared to others shows how important it was not just to destroy possible Royalist strong-points, but also to obliterate a royal mint that had funded the armies of the king. Enough dynamite was used, in fact, that the following winter the church collapsed in the storms. It is popular belief that the church fell into the sea, but, since the line of the town wall is still quite far from the sea it is impossible for the church to have fallen in unless it stood outside the walls, which is unlikely. It is more probable that it was either destroyed at the same time as the castle by the explosion, or the explosion weakened it so much that the winter storms just blew it down. For a century afterwards the remains of the castle itself suffered at the hands of the sea as well as being taken down by townsfolk for use in other buildings. The inner bailey wall towards the present church shows the clearest signs of having been dismantled after the castle was slighted by Cromwell. This was until in 1739, when the local council ordered that no one should take any more stones from the castle on pain of a £5 fine. Most suppose that the town wall, dismantled largely between 1650 and 1850, is now entirely gone without any trace, but there is in fact the stub of the town wall on the outside of the north-west external wall of the outer-bailey. Some time at the end of the eighteenth century the castle was landscaped and the paths put in, the pair of signal cannons appearing a few decades later as decoration. There was for some time the camera obscura on the site of the war memorial, before the memorial was put there in the 20s. And that, in a nutshell, are the major events that have changed the castle and its buildings since it was built.